Because I am a girl….! We always wonder how we can make a difference to the lives of others? What can we contribute for the better future of the next generation? How can we be involved? With these questions in my mind, I have been trying to understand the complexity of poverty for the past few years. I am now convinced that it is the gender discrimination in education amongst the poor that is causing the persistent poverty and all of its consequences, particularly related to health and nutrition. Social norms such as early marriage and pregnancy, unfriendly school environment (e.g lack of sanitation facilities), gender-based violence, and discriminatory education practices dissuade millions of girls form benefiting from education. Worse, many parents still believe girls need not be educated. 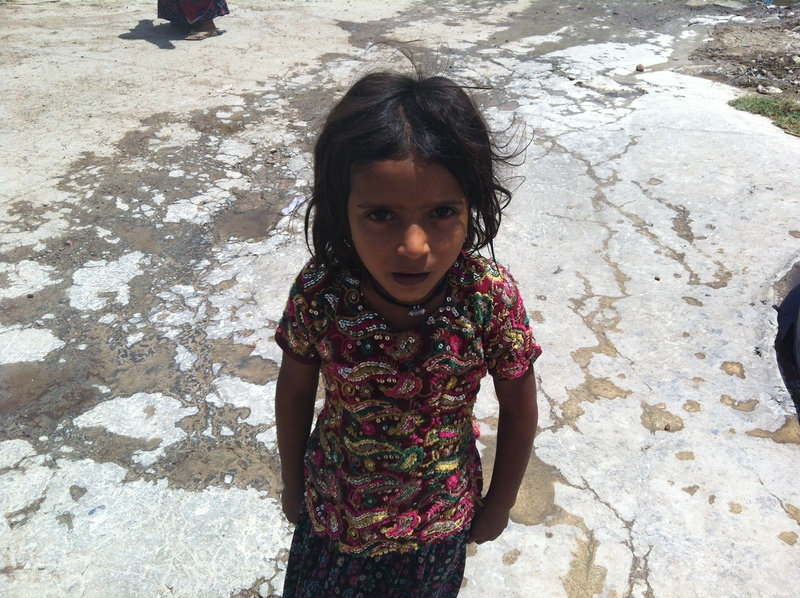 Once I was in a village of Rajasthan. A woman was calmly explaining why her daughter should not go to school. “She will get married and leave. Why shall we waste money?” I looked at the daughter, who was curiously enjoying the session, without even realizing how wrong her mother was. “Don’t you want to go to school?”, I blurted out. She simply blushed. 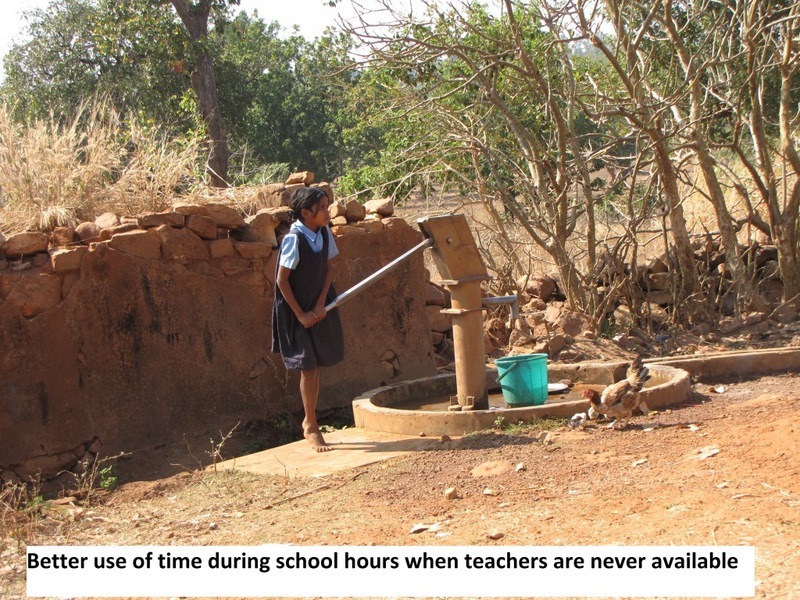 In the recent years, perhaps due to the existence of a primary school in every village, free uniform or mid-day meals, whatever the reason is, parents are sending children to school when they are very young. But that does not mean parents are open about sending girls for higher education. Recently we interviewed more than 3,000 mothers and only 22% mothers aspired that their daughters should graduate or go to college. Most of the mothers gave the same answer, “They will get married one day. Why do they need to study more?” Maybe because women have fewer opportunities in the job market, and thus, there is a perception that daughters do not need a formal education, resulting in parents’ lower aspirations for their daughters than for their sons. Moreover I have my own doubts about the quality of education in these government schools. In the past five years, I have visited several schools in the mornings, afternoons or evenings in different villages of India. I have to admit that I have rarely seen teachers in the school. Students too do not seem to mind the absence of the teachers as they get enough time to play in the morning, and meals in the afternoon. Invariably, after the meal, girls are busy with their household chores. I am not exaggerating with my story. This concern was highlighted by Annual Status of Education Report (ASER), which states that almost half of Class V students in government schools still cannot read a Class II text. Such a condition of Indian educational system possibly affects girls more. When parents decide to send kids to private schools for better education, they invariably invest more on son’s education. You do not even have to go to the remote villages to see this discrimination in investment in education by parents. Take a look at the slum or basti next door. You will possibly find such cases out there too. My maid herself decided to invest Rs. 50,000 for her son’s education in a private school. She had no money to pay for her daughter’s fee. What is disturbing is for the past three years, she had been stating that her daughter is a class topper, whereas the son is an average student. Yet, when it comes to investment in education, she saw value in investing in an ‘average male child’ by almost discontinuing the education of an ‘outstanding female child’. It is no secret that educational achievements of women have extremely positive impact within the family and across generations. Take a look at your own extended relatives, and compare the social status of any household that had an educated grandmother. Invariably, you will find them more prospered and progressed than the others. Thus, it is even more important for us to counsel the less privileged ones about the importance of educating the girls and its future incentives. At a personal level, you can discuss about it with your maids, drivers, guards and others who are living amongst us. I recently talked about it with an auto driver who had a 16 year old daughter and was thinking about her marriage. By the end of our conversation, he was convinced that her daughter should graduate. I am sure our small act can make a huge difference in a girl’s life somewhere..! Very well put! I firmly believe it are the every day points of influence that can make changes while also putting some invest into initiatives that help girls education. Alas the poor quality education and absent teachers is indemic – would love to see some accountability with attractive salaries linked to demonstrated differences in education quality. Thanks so much for your insightful comment. It’s amazing how the basic issues of education still plague even the most developed countries. I believe Canada does way better on education quality and equality than a lot of other countries, but still a long way to go even for the US. Previous Previous post: What would you tell your 16 year old self? Next Next post: The One Show you Must Watch – Breaking Bad!